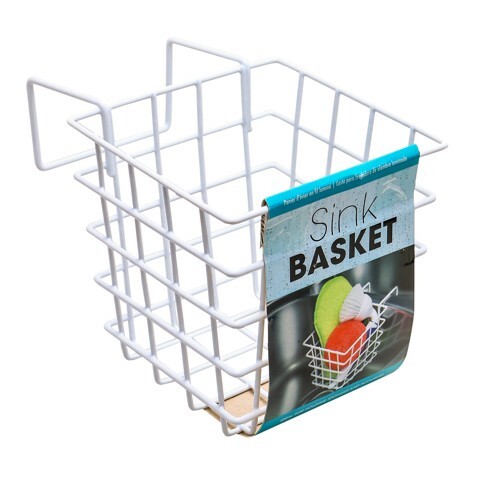 Sink Basket Laminated Wire. Basket Size: 12 x 12 x 12cm | Hook: 5 x 4cm. White. Laminated Wire. 145G Packaging: Colour Card.